Are commercial imperatives skewing consumer advice? The arrival of major international players in the hearing aid game is changing the New Zealand market. Hearing aids are now big business. Are commercial imperatives skewing consumer advice? We look at what's happening and mystery-shop 3 hearing clinics to see whether the advice and services offered differed. "Save up to $1000 plus receive a free gift." "Free Christmas ham." "Full money back guarantee." "Receive up to $650 worth of free accessories." You could be forgiven for thinking these offers were part of a promotion for big screen TVs. Far from it. They're all from ads selling hearing aids. Hearing loss doesn't automatically mean you need a hearing aid. Your needs will depend on the extent of the loss and how it affects your daily life. This flurry of promotional offers has been spurred on by the arrival of major international players in the hearing game. Thanks to an ageing population and government subsidies for hearing aids, the Kiwi market has become an attractive proposition for big overseas brands. Bay Audiology and National Hearing Care were bought out in 2010 by multi-national hearing clinic chain Amplifon, which also has shares in Dilworth Hearing. According to Amplifon’s latest quarterly report, its Kiwi investments contributed an impressive 4.6 percent to global sales revenue in the first 9 months of 2011. Swiss giant Sonova has also had its cheque book out. In late 2010, it bought into Triton Hearing clinics and has recently acquired Hearing Advantage, which runs a string of clinics in the South Island. Grumblings from small providers have greeted the new entrants. But Sonova’s arrival has sparked controversy because the company also has substantial investments in hearing-aid manufacturing, including ownership of major hearing-aid brands Phonak and Unitron. Another manufacturer, Danish-based William Demant, has also been investing in clinics here. William Demant is behind the Bernafon, Oticon and Sonic hearing aid brands. It now owns New Zealand Audiology Ltd, which runs the Eastridge Hearing clinic in Auckland. Financial ties between manufacturers and the clinics dispensing their products inevitably raise the risk commercial considerations will influence the advice consumers get. Safeguards to minimise this happening are standard practice in many other areas of healthcare. But there are few in place in the hearing profession. The New Zealand Audiological Society’s code of ethics bars audiologists who have an economic interest in, or are paid by a hearing-aid manufacturer, from selling that manufacturer's products. However, the Society has no legal clout and its code is currently under review as a result of recent buy-outs. Audiologists and audiometrists aren’t covered by the Health Practitioners Competency Assurance Act. They also have no obligation to tell customers if they – or their employer – have financial links to a manufacturer. And as we found out, this information may not be given to you voluntarily. We sent mystery shoppers to three central Wellington hearing clinics to see if there was any difference in the advice and services they provided. 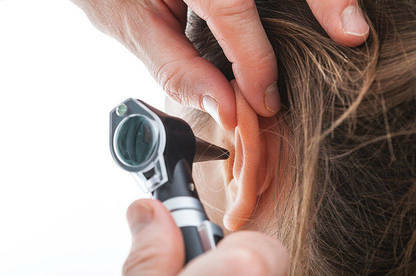 Two clinics, Bay Audiology and Triton Hearing, were offering free hearing checks. Bay Audiology's check was a quick test to detect hearing loss. Our shoppers had to go back for a full assessment, which cost $59. Courtenay Hearing, an independently-owned clinic, charged $77 for an assessment. Our three shoppers had mild to moderate hearing loss. We found the results of the hearing tests for each were generally consistent. But two of our shoppers, Maya* and Nina*, got differing advice from the clinics they visited about whether they should consider a hearing aid trial. Hearing loss doesn't automatically mean you need a hearing aid. Your needs will depend on the extent of the loss and how it affects your daily life. Maya is in her late 40s and Nina is in her early 30s. Both felt they were coping with their hearing loss and that it wasn't causing any significant problems. Of the clinics they visited, Triton Hearing was the only one to suggest a hearing-aid trial. A Triton audiometrist recommended a $3700 Phonak-brand hearing aid to Maya, offering her a free two-week trial. She was also given prices for other Phonak aids, ranging from $2100 up to $5011 for a top-of-the-line model. A different Triton audiometrist also suggested Phonak-brand hearing aids to Nina. As well as being an audiometrist, this person's online profile describes him as a "sales and marketing specialist". He discussed several brands of hearing aids with Nina but told her that Phonak aids were his preferred option. Maya and Nina may have got some benefit from the hearing aids, although they chose not to go ahead with a trial. However, neither was told about the commercial relationship between Triton Hearing and Sonova, Phonak's parent company. We think they should have been. According to Triton Hearing's annual accounts for 2011, Sonova-brand aids comprised 78 percent of its sales for 2011. Triton said staff had access to all manufacturers’ products and make wholly independent decisions. He also said the company had safeguards to ensure Triton audiologists' professional independence, including a clause in their employment agreements which stated they had the freedom and discretion to recommend any brand of hearing aid. No specific hearing aid brands were recommended to our third shopper. Jim* is in his late 50s and has moderate hearing loss. All three clinics suggested he would probably benefit from hearing aids but didn't mention a particular brand. Each clinic said he should make another appointment if he wanted to trial an aid. Questions about the close relationships between hearing clinics and hearing aid manufacturers aren’t new. A 2008 study commissioned by the Ministry of Health found a lack of safeguards to ensure that hearing aids are recommended on non-commercial grounds and that audiologists are independent from manufacturers. According to the study, nearly all audiologists prescribe hearing aids from just one or two manufacturers. The study's authors concluded this is largely because it's not practical for clinics to have expert knowledge of the huge number of hearing aids on the market – more than 500 are available. But they also noted some clinics have "close commercial relationships" with manufacturers and operate preferred provider schemes. These findings prompted some of the recent changes to funding rules. The ministry's Hearing Aid Services Notice 2011 requires audiology providers to disclose to the ministry any financial or other interest they may have in recommending a specific hearing aid. However, there's still no requirement for this information to be disclosed to consumers. The ministry told us Triton Hearing has made a disclosure of interest under the new rules. The ministry also said it was satisfied Triton “has demonstrated a clear separation” between its retail business and its link to the manufacturing interests of parent-company Sonova. Consumers may justifiably expect hearing clinics to be more open about their links to manufacturers – particularly given the millions of dollars in public funding that goes into the industry. The Ministry of Health spends around $18 million a year on hearing aids. In 2010/11 ACC spent $50 million on hearing-loss services. While hearing clinics have limited disclosure-of-interest obligations, under the Hearing Aid Services Notice they are required to give you certain information about hearing-aid costs. a copy of the ministry's Guide to Getting Hearing Aids. If you're on a low income or have complex needs, you may be eligible for higher funding. If you meet these criteria, the Ministry of Health will pay the wholesale cost of your hearing aid. The clinic must tell you the wholesale price of the aid and provide an itemised list of any additional charges you have to pay. According to ministry figures, retail prices for basic hearing aids – which suit many people's needs – start at less than $1000. Top-of-the-range models can cost more than $3000. However, clinics usually apply their own mark-up so costs for the same product can vary widely between providers. Getting your hearing checked? Here's what to expect. Hearing clinics may employ both audiometrists and audiologists to carry out hearing tests. Audiometrists' training varies. Some gain skills on the job while others have formal qualifications. An audiologist has a Master of Audiology degree. Only audiologists who are full members of the New Zealand Audiological Society can access hearing-aid subsidies on your behalf. If hearing aids are recommended, you must be given an itemised list of the charges associated with the purchase before you trial or agree to buy the aids. Charges may include an assessment fee, a fitting fee, a fee for ear moulds and ongoing battery costs. You’re also entitled to a copy of your test results and you can use this to shop around. You should be given a trial period so you can find out if a hearing aid works for you. The Ministry of Health says most clinics offer 6 to 8 weeks. If you decide not to buy the aid, you can return it and get a refund. However, any fitting fees you have paid may not be refundable. For adults, funding for hearing aids is available no more than once every 6 years. The aids should last at least this time. Hearing aids normally have a manufacturer's warranty. They're also covered by the Consumer Guarantees Act. If your aid is faulty, and you haven't caused the fault, the supplier is obliged under the Act to remedy the problem. Consumers expect to get independent and comprehensive health advice from hearing clinics about the options available to them. If a hearing clinic has close commercial ties to a manufacturer or chooses to dispense only certain brands of hearing aids, they should be telling their customers this. If you're shopping for a hearing aid, ask what brands the clinic does and doesn't sell. If you're not thrilled with the options, or want to see what other providers offer, shop around. You may have to pay for more than one consultation but it may be worth it in the long run. The retail price of a hearing aid averaged $2233 in 2015, according to figures released to Consumer by the Ministry of Health. About 24,500 hearing aids were part-funded in 2015 through the ministry’s hearing aid subsidy scheme, at an estimated total retail cost of $54.8 million. The most expensive aid subsidised was $10,000 and the cheapest $250. The average retail price was about $870 more than the wholesale price of aids ($1359) paid for through the separate Hearing Aid Funding Scheme. People on low incomes or who have complex needs can get funding to cover the wholesale cost of aids through this scheme. 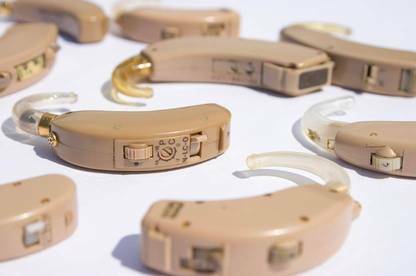 The most common hearing aid brands funded last year were Phonak, Oticon and GN Resound. GUIDE TO THE TABLE DATA are from the Ministry of Health and show the total cost per provider of hearing aids funded under the Hearing Aid Funding Scheme. Hearing clinic promotions frequently offer a free or discounted hearing check. But you can already get a free check from Life Unlimited Hearing Therapy Services, a publicly funded service that provides hearing evaluations for people 16 years and over. Life Unlimited doesn't sell hearing aids but its hearing therapists give advice on living with hearing loss and whether a hearing aid will help. To make an appointment, go to lifeunlimited.net.nz/hearing/ or call 0800 008 011. In some areas, you may have to wait for an appointment. ACC contributes to the cost of hearing aids and associated fees if your hearing loss is injury-related. It also administers joint ACC and Ministry of Health funding if you have both injury-related and health-related hearing loss. Maximum ACC contributions for injury-related claims are: $1725 per hearing aid; $1035 (per ear) for fitting fees; $115 a year for minor repairs; and $230 every two years for other repairs. Recent changes to legislation mean ACC now only considers claims where 6 percent or more of your hearing loss is from injury-related causes. The National Foundation for the Deaf along with other organisations has made a complaint to the Human Rights Commission arguing the policy is discriminatory. At this stage, there's been no resolution of the complaint. In October 2015, Triton Hearing was awarded Consumer Trusted status. This means it was assessed against our principles. Part of the assesment included what it discloses to consumers in terms of its ownership by Sonova, a major hearing aid manufacturer. Triton discloses on its website and in its promotional brochures that it is part of the Sonova Group, which manufactures Phonak and Unitron hearing aids. The company also changed its terms and conditions to meet Consumer's requirements. If you have a complaint about Triton, please contact us. I cannot believe how short the life of hearing aid batteries. My husband has had hearing aids for a year and he goes through the batteries. Where is the besy/cheapist place to buy them? We’d recommend checking out a price comparison site to find the best price. Hearingtracker.com conducted a survey last year of battery life span: https://www.hearingtracker.com/blog/hearing-aid-batteries-how-long-do-they-really-last/ It’s also surveyed costs, but note these are from the Amazon website. Just read your article about hearing aids. I have had aids for 8 years, and replaced about 18 months ago. I am convinced that my older aids ( which still work ) are much better than my new ones. I have lost track on how many time I have been back to get new ones adjusted. Wondering which way to jump. !! Hearing aids are covered by the Consumer Guarantees Act and must be of acceptable quality. While new aids may need adjusting when you start using them, if there’s an ongoing problem then the retailer needs to sort it out. If the store can’t fix the issue or it’s substantial, you may have grounds for rejecting the aids and requesting a refund or replacement. If you haven’t already done so, we’d recommend advising the store you’re not happy with the quality of the aids and want it to fix the problem. What is the latest report on hearing aids in particular their quality and reliability. Has the consumer done such a survey in the last couple of years. Technology is advancing all the time and it is difficult to get independent expert advise. To date, we haven’t done a survey of hearing aids. However, all hearing aids subsidised by the Ministry of Health must be on its “approved hearing aid list” (most people are eligible for a subsidy - see our article). To get on the approved list, the hearing aid manufacturer has to provide evidence the product meets relevant international standards. Where information is lacking, the product can be tested. The approved hearing aid list is updated every three months. I lost around 50% of my hearing as a result of Platinum based chemotherapy drugs. ACC said that because I was told the drugs could damage my hearing, the loss wasn't an accident so I wasn't covered. I have had hearing aids fully funded by ACC for 7yrs. We are told that after 6 yrs you are entitled to an upgrade. My experience was an offer of aids with less technology than the old ones at a cost of $1000.00. I took the 60 day trial but found less benefit so returned the aids in two weeks. A very informative article. Have moderate hearing loss and the aids help at work especially. Also valuable where the need to hear more clearly is important. I'm in the process of seeing if hearing aids will assist me. I read this article a few weeks ago and I thought it contained more information on alternative places to try when buying hearing aids, including over the Internet or at a distance. Has the article changed? If so can I please see the old article? Or do you know where the information I recall seeing is? It includes data about the most common hearing aid brands from different providers that were funded under the Hearing Aid Funding Scheme in 2014/15. Advertisement for Hearing Aid "Consumer's Guide". Triton are promoting a free "Consumer's Guide" to hearing aids, "available only from Triton hearing clinics". Unless Consumer has produced such a guide, this seems to me to be rather misleading advertising, even though they do have their own Consumer's Guide. re: Advertisement for Hearing Aid "Consumer's Guide". Thanks for your comment. You're correct Consumer NZ doesn't produce this guide – it is published internationally and distributed in multiple countries. You'll note it does not include our logo or branding. Unfortunately, the confusion comes from the word "consumer", which anyone can use.